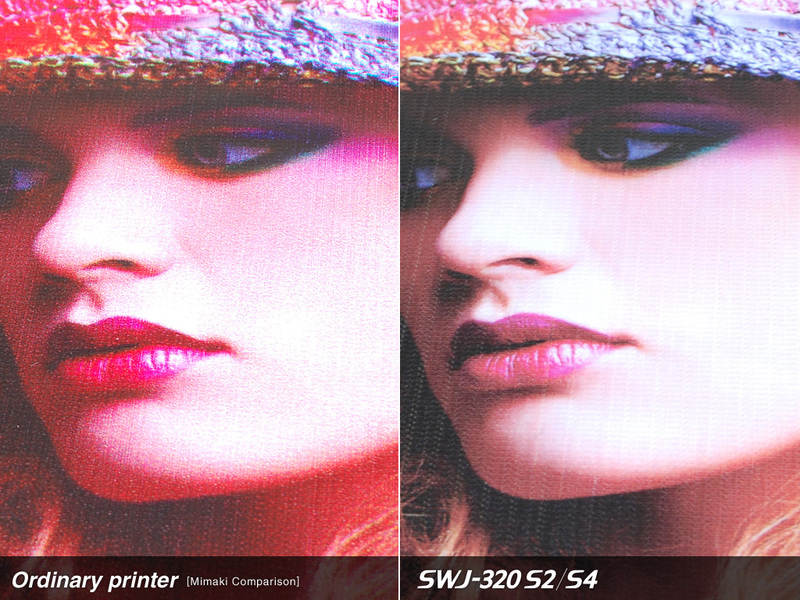 SWJ-320 S2/S4｜MIMAKI ENGINEERING CO., LTD.
Mimaki's latest model "SWJ-320 S2/S4" offers speed, quality and operability at an affordable introductory price. Two types are available to suit your needs. Experience the quality and innovation that Mimaki brings to your business! The 2-head model focuses on economical printing without compromising the high print quality. Variable dots with a minimum of 7 picoliters ensure high resolution and performance. With Mimaki's proprietary technology, sign productions around the world benefit to realize unrivalled high resolution and high definition prints. Smooth prints without grainy appearance and sharp reproduction of small texts are achieved, as well as ensuring the reproducibility of pastel and human skin tones. Ink drop from the print head is controlled to fly straightly and to be printed on the media in the optimum condition. Mimaki's solvent ink has exceptional stability and low propensity to clog nozzles. Furthermore, it brings the high Mimaki standards for colour accuracy, image durability, and weather tolerance. The inks are available in 2-liter bottle, which are more affordable than conventional ink cartridges. The newly developed RasterLink 6 RIP software focuses on user-friendliness and is packed with new functions, ensuring more beautiful and sophisticated results. keep working while waiting for a technician--avoiding downtime. Mimaki's reputation for ease of maintenance is one key purchase reason for clients. The new SWJ-320 S2/S4 are equipped with proven nozzle maintenance functions, keeping the print heads in optimal condition. Pressure is applied to the ink when jetted from the print head, realising a stable ink supply by removing air bubbles in the ink. When the print head is on a cap, the remaining ink on the head nozzle surface is suctioned. Nozzle surface is also automatically wiped. 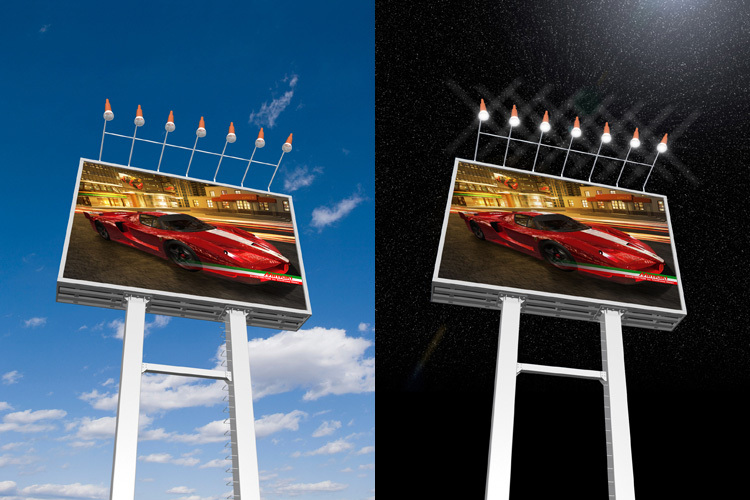 High resolution printing can be realized on many substrates like tarpaulin or vinyls. The smooth non-grainy finish makes the SWJ-320 S2/S4 the ideal printer for outdoor and indoor applications at close viewing range. More possibilities give more business opportunities..
SWJ-320 S2/S4 aims for high quality, ample features, and affordable price. New standard of super wide format inkjet printer starts here. * Nozzle may malfunction during Draft mode print. * Nozzle recovery function will not work when Super Draft mode. High productivity reduces ink consumption, realizing excellent running cost. The substantial maintenance function makes it possible to maintain high quality print. 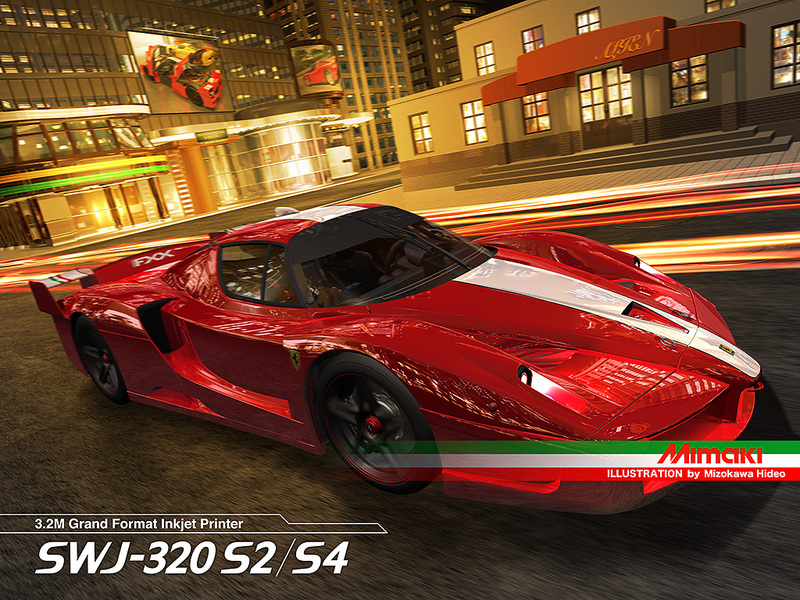 © 2012 MIMAKI ENGINEERING CO., LTD. All Rights Reserved.